CNN has reached an agreement to sell Zite, a mobile app that aggregates users’ interests into an interactive magazine, to news reader company Flipboard. CNN purchased Zite in 2011 for $20 million and the network originally reported the new deal would be worth $60 million, but the network later clarified and said that figure includes potential future revenue but didn’t provide details on the actual purchase price. As part of the deal, CNN and Flipboard will partner to create interactive magazines around shows anchored by Fareed Zakaria, Jake Tapper and John King. 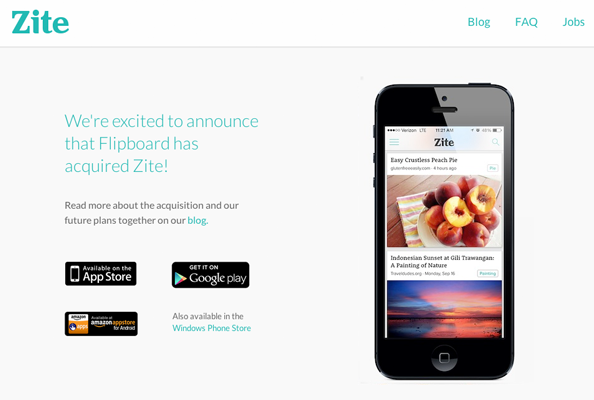 CNN integrated the Zite brand with its website’s Trends section in 2012, and that cobranding is still active.